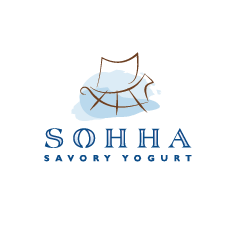 Founded by Angela and John Fout, Sohha Yogurt believes that food should be wholesome and made from the highest quality ingredients. When their daughter Savana turned six-months-old, there was no yogurt on the market that was pure and wholesome enough to feed to her. John and Angela preferred their family recipe for savory yogurt made by hand. It was so good that they began eating it, too. So did their friends. Today they produce savory yogurt made from only three ingredients: locally sourced milk, sea salt and probiotic cultures.